Drain-to-Source Breakdown Voltage (VGS = 0V, ID = -1.0mA): -200V min. 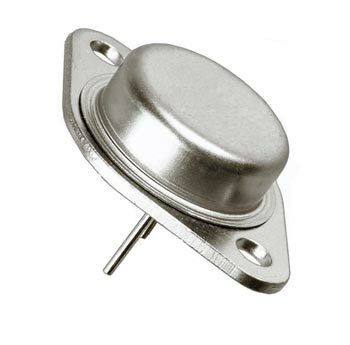 Static Drain-to-Source On-State Resistance (VGS =-10V, ID =-4.0A): 0.80Ω max. Zero Gate Voltage Drain Current (VDS=-160V, VGS=0V): -25uA max. Gate-to-Source Leakage Forward (VGS =-20V): -100nA max. Gate-to-Source Leakage Reverse (VGS =-20V): 100nA max. Input Capacitance (VGS = 0V, VDS =25V, f = 1.0MHz): 700pF max. Output Capacitance (VGS = 0V, VDS =25V, f = 1.0MHz): 200pF max. Continuous Source Current (Body Diode): -6.5A max. Diode Forward Voltage (Tj = 25�C, IS =-6.5A, VGS = 0V): -6.0V max. Reverse Recovery Time (Tj = 25�C, IF =-6.5A, di/dt ≤ -100A/us, VDD ≤ -50V): 400ns max. Reverse Recovery Charge (Tj = 25�C, IF =-6.5A, di/dt ≤ -100A/us, VDD ≤ -50V): 4.0uc max.